Notes: Common in woodland, scrub, gardens and a wide range of other habitats throughout much of England, spreading into Scotland. 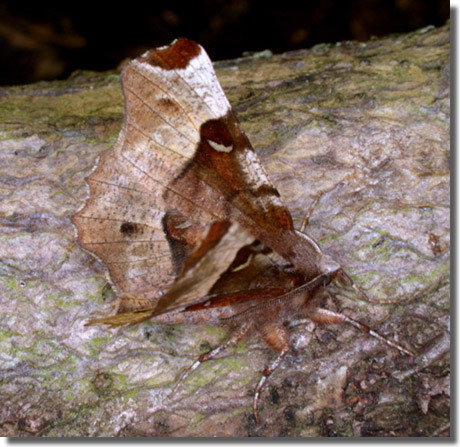 In Hampshire and on the Isle of Wight Fairly common and widespread in all three vice-counties. Emerges in two well defined broods, peaking in April and July. Records before 1975 are few, so the graphs shown below are taken from this point forwards. Wingspan 46-52 mm. 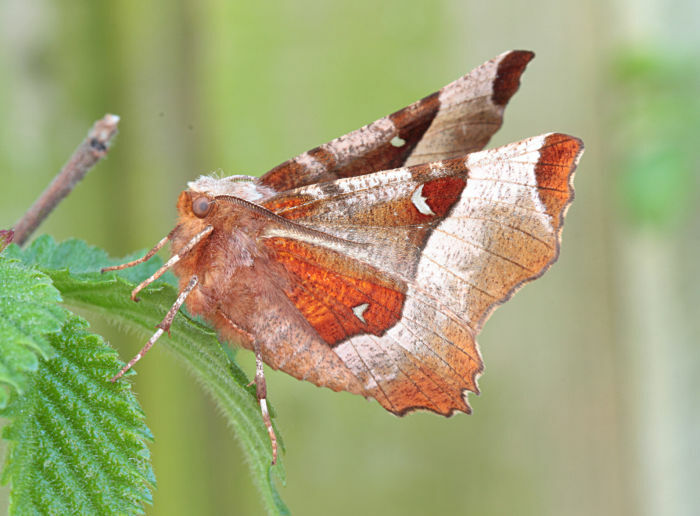 The most likely confusion species is Lunar Thorn Selenia lunularia, both share the same posture at rest, but Lunar Thorn has the postmedian line straighter, joining the costa closer to the base of the forewing, and lacks the dark spot near the dorsum on the hindwing of Purple Thorn. 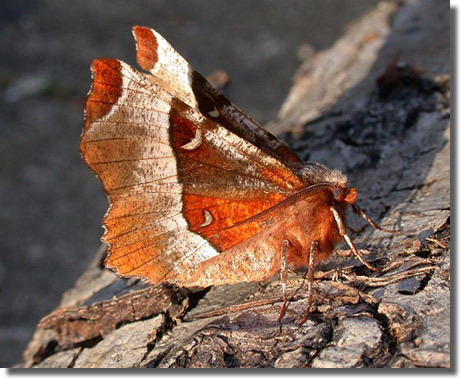 Larva feeds on various broad-leaved trees, including Hazel, Birch, Alder, Hawthorn and Oak, over-wintering as a pupa.